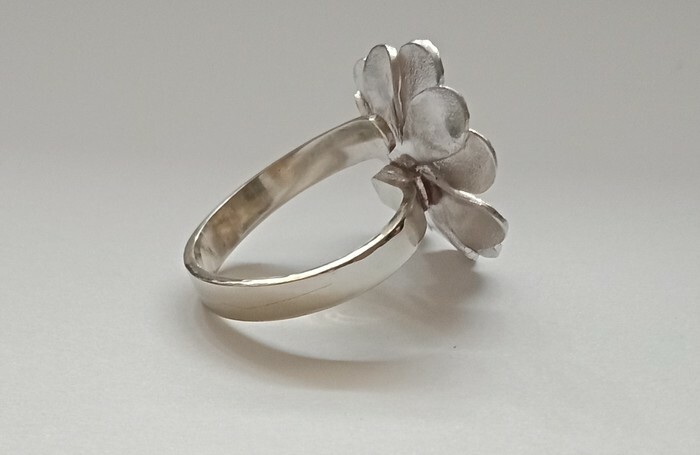 Silver Daisy adjustable ring is a spectacular statement ring with a central 1mm cubic zirconia for lovers of silver. Inspired by the gorgeous and colourful Aster daisy flowers in my garden. The soft delicate petals are each hand sculpted and constructed in my home studio with love. 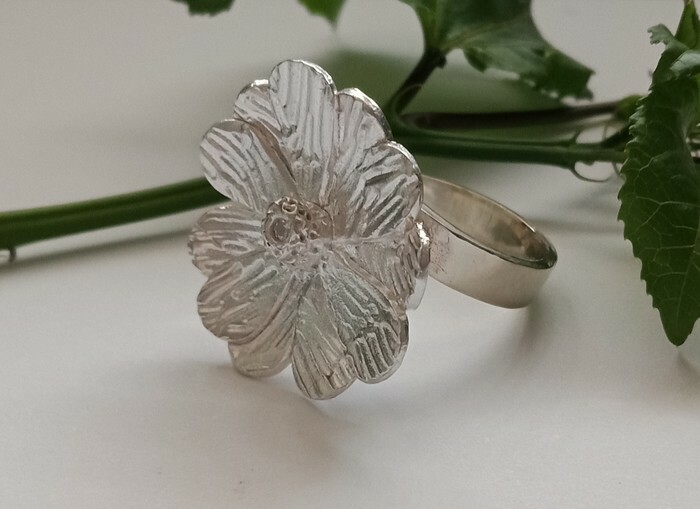 The flower top is constructed of recycled fine silver (999), having a slightly softer hue than that of the recycled sterling silver (925) adjustable shank. 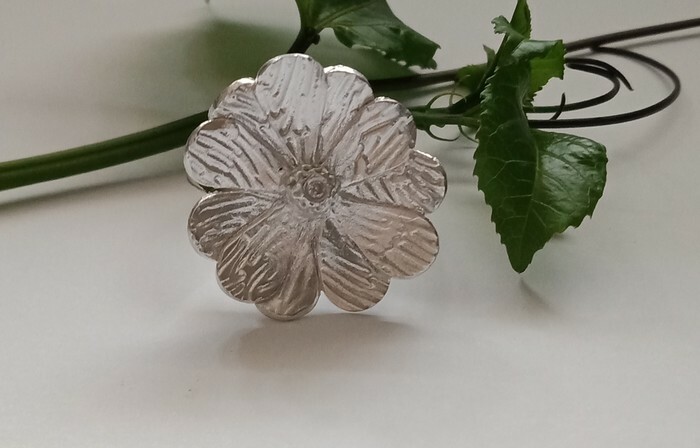 Being pure and sterling silver allows anyone one with sensitive skin to wear this amazing piece with comfort. The shank has rounded edges at 4mm width and adjusts from size 6 US to 11 US. 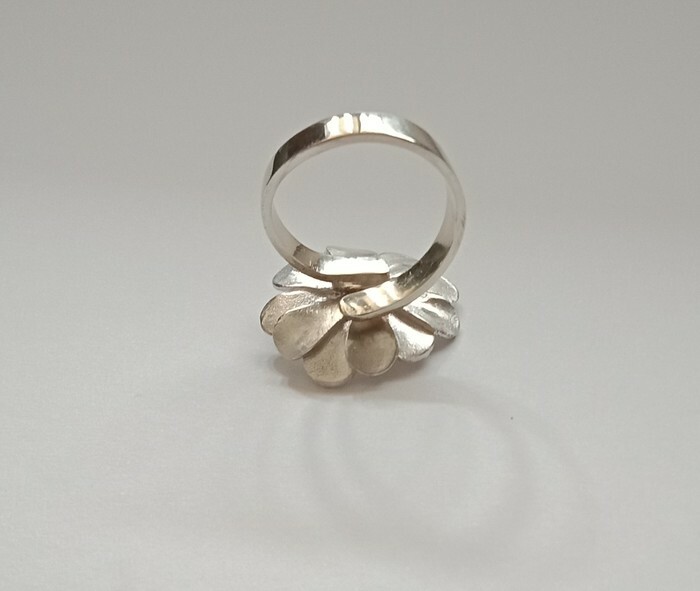 The ring shank fits around the finger as a full circle even though it is not joined. 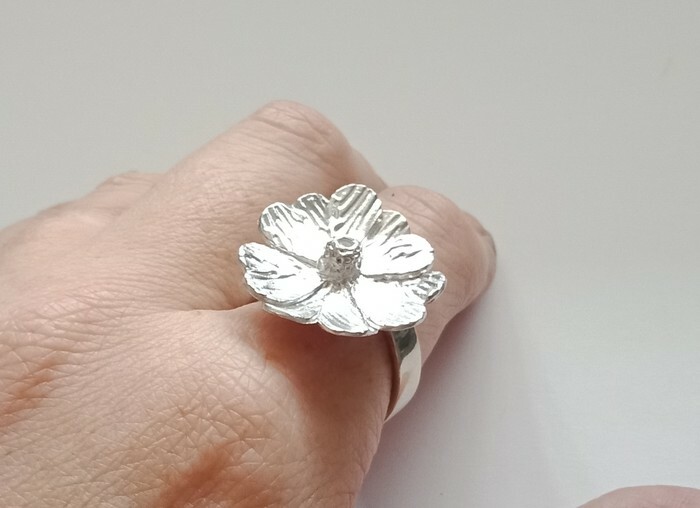 I personally do not like the feeling of the gap under the finger of other adjustable rings so always design my adjustable rings for optimum comfort. This piece would go from office to evening, looking perfect with any style. 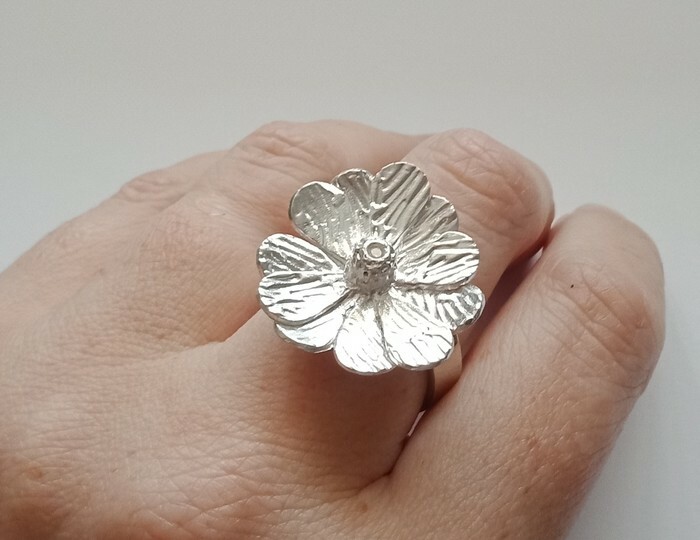 Get your handmade designer adjustable ring from Robyn Walden Studios today. Free standard postage.